Sarah joined The Passionate PA in July 2018, looking to bring her vast corporate experience and love of business together as a franchisee of The Passionate PA. She has worked with senior management and directors in companies of all sizes, providing support in both their professional and personal lives. Here, Sarah gives us a sneaky-peek into her life. Coffee and a review of social media/my email. Well, I’m just starting out really but my ‘patch’ is Somerset so I can be found in Wells, Glastonbury and Bath most weeks. Seeing a client’s business grow and change, being part of that change and knowing I’ve added value to the people involved. Doing my own business accounts! Ambitious, focused directors with small teams or even no employees at all. I love becoming a client’s right-hand woman and helping them through the next phase in their business. Larger clients that need to outsource project work too – I really enjoy that. In my wild flower garden or walking my dog-like cat! Having independence to build and shape my own business, but with a support mechanism around me when I need it – being a business owner or freelancer can be incredibly lonely but there’s something pretty special about being part of a team where everyone is responsible for their own business yet know exactly the challenges (and successes!) I’m going to face. I have always been a PA/EA. I’ve worked in small family businesses to large international companies, from luxury products to highways maintenance! Coffee… did I mention COFFEEEEEEE! I enjoy the fact that there is no set place for a business meeting as a freelance PA! So far I’ve used hotel lounges, cosy pubs, cafes, training rooms, clients’ front rooms! It’s the people that matter, not really the space. How to be Human by Ruby Wax, a neuroscientist and a monk. This changes constantly – I love to learn. One day I may be baking, the next I may be obtaining my motorcycle licence… On a rainy day, you may even find me curled up with a cup of coffee, watching a Disney movie – just don’t tell anyone! I am extremely lucky to have worked for and with a number of inspirational people throughout my career – each one has taught me something new, provided me mentorship and has helped me grow professionally and personally. The Wren – highly independent, takes no nonsense and isn’t scared of those bigger than itself! My client Danny Gosling – inspirational brand designer and master of employee brand culture. You can read more about Danny in one of our recent blogs. 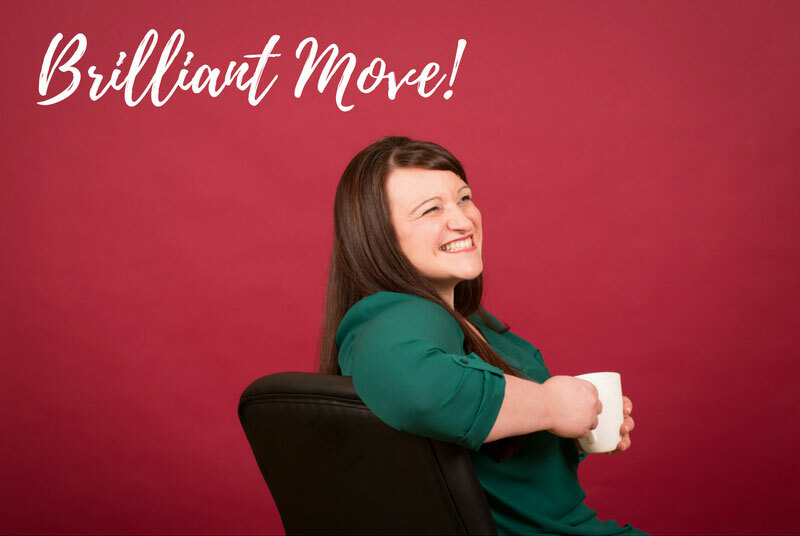 To build my business in Somerset; meeting ambitious business owners and providing a freelance PA service that makes a difference to people’s lives professionally and personally. You can find out more about Sarah by clicking here! Or, give her a call to arrange a coffee date.